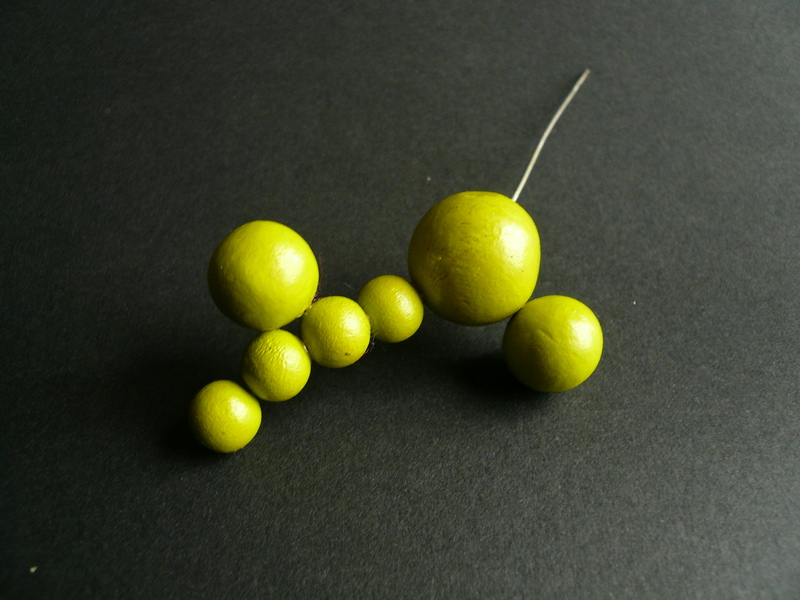 I love the process of creating these brooches, very reminiscent of molecules, chemistry sets here i come. 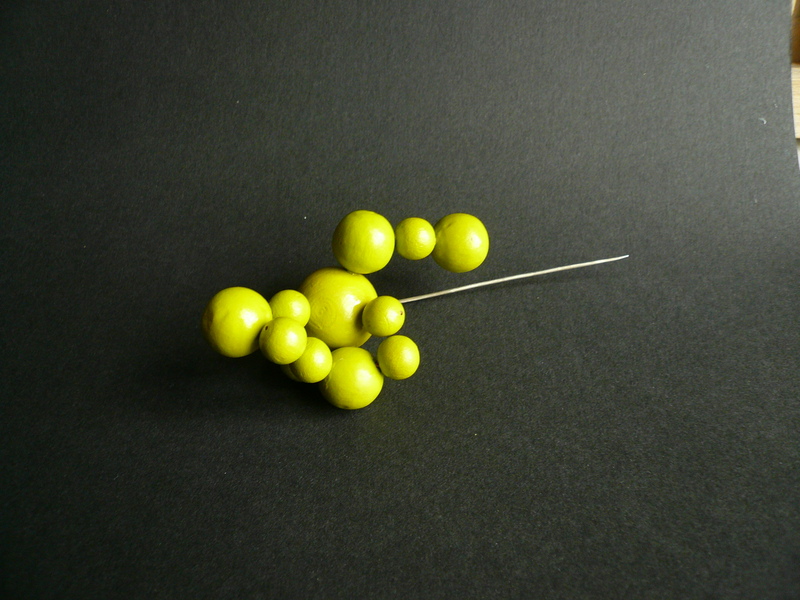 In my quest for molecules waiting to become the perfect broach I found a wonderful website called molecule of the month. 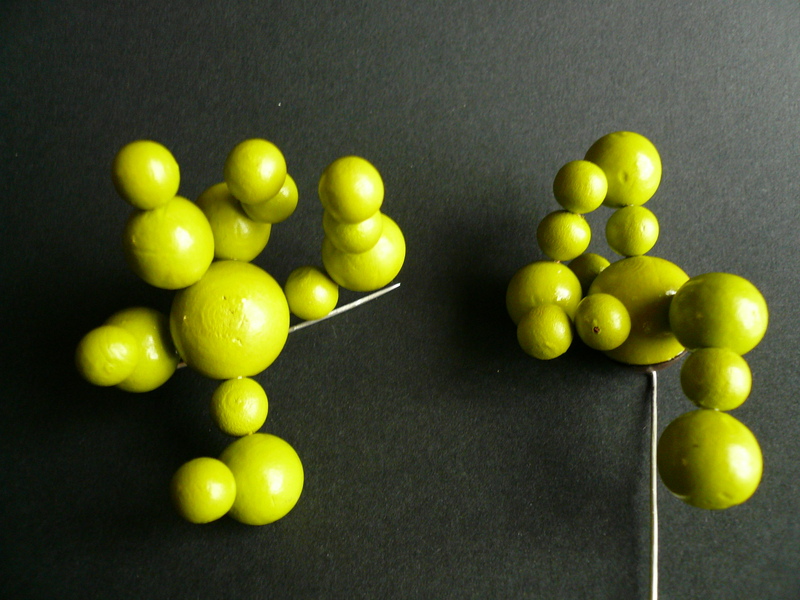 But the molecule that captured my fancy happened to be absinthe, from a site called 3Dchem. 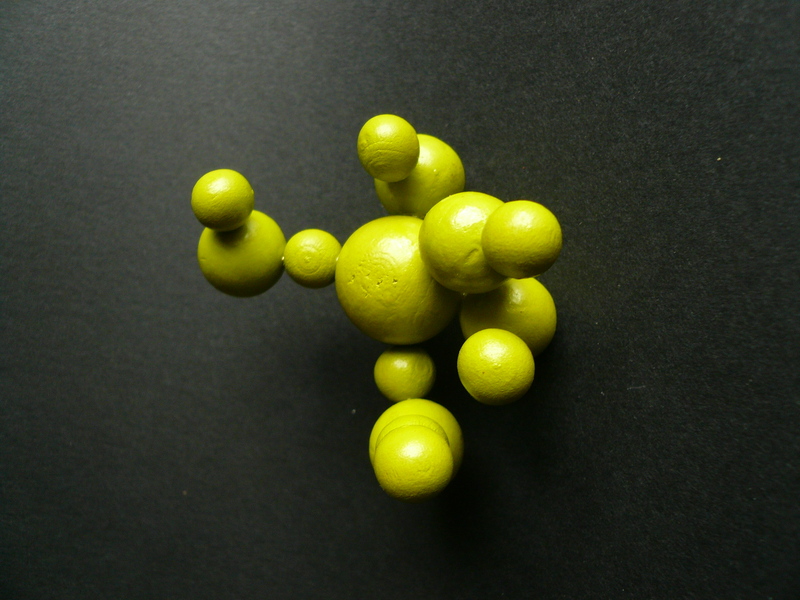 Maybe its the coincidental color of the wooden balls I use, or just the interesting back story, either way my first molecular brooch will have to be a tribute to the green fairy. anyway here are my non-molecular beginnings. 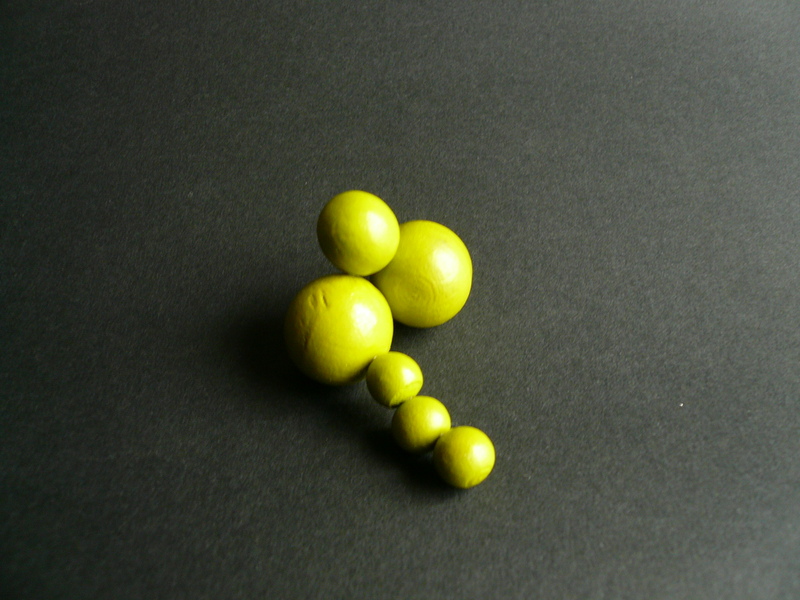 This entry was posted in molecule brooches on November 5, 2007 by kristindagostino.